Pinterest is among the most popular social networks used today for sharing photos and videos. Thanks to the “images pinning” action, it has become an interesting tool for brands of different sectors : from tourism to fashion, but also food. Pinterest has achieved early success thanks to its ease of use for expert users, but also for inexperienced members. However, it may not always be easy to understand which strategy of social media marketing you should choose. So here’s 11 tips to get the best from your Pinterest account. It’s free and takes very little time to set up. You can create a business account from scratch or by converting your existing one through this page. For the visitors of your profile will not change anything, but you will have access to analytics that will allow you to monitor the performance of your account and find out, for example, the number of unique visitors or repins. You have 200 characters to capture your potential followers through a description of your business in your profile. Be careful what you write and use your keywords. This will help capture the attention of your audience and will simplify the search of new followers. The famous rule of 80 to 20 (80% content external to the brand, 20% for your product content) also applies to Pinterest. Sure, it will not be easy to resist the temptation to fill your profile with photos of your product, service or website, but for a correct use of this social media instrument, you should find topics related to your brand and pin pictures about it. A fashion brand should look for aphorisms about the world of fashion or celebrities, a tech brand should pin about cool gadgets or a travel company can focus on the typical dishes of the world. Again, the classical rule of the online marketer. For a winning strategy, it is necessary to build relationships with your industry influencers and Pinterest is the right tool to do so. You can repin their content, for example, and discuss it with them : it could be a way for you to be noticed or receive a positive feedback! Before to pin your images, you can rename them with your keywords. This will help users find your images when they make the search for the keywords used. Another reason that has allowed Pinterest to climb the peak of success was undoubtedly his inspirational and emotional aspect. Users, as pinners, love to be inspired by the social boards. For this reason it is good to create boards that can excite and inspire people to dream. Boards of art, film or photographs will be appreciated by your followers and will attract new ones. Have you ever thought to directly engage fans and influencers in a conversation with your brand? With Pinterest you can do that by inviting them to pin their photos in a board you created. If you’re looking for ideas , visit the Top Group Boards account, which includes the best boards shared within the social network. Users love the companies that share their stories and who explain their values publicly. Pinterest can help you to do that. Make sure that your board visually communicate the topics that are dearest to you to tell or the initiatives you have in place. Pinterest allows you to reposition the boards at your leisure. It is advisable to reorder them depending on season and occasions. Under the winter holidays you may place at top the collections of gifts and ideas of decorum, while during summer those related to leisure, travel and relax. – Place Pin: to add addresses , phone number and maps. These can be very useful to provide as much information as possible to your users thus being credible and reliable. – give relevant titles and enter the proper keywords to the boards name. These are just some of the tips to successfully integrate Pinterest into your social media marketing strategy. The best suggestion to give you is always to experiment new ways to market yourself or your brand! Not all the topics are equal, and neither are the users. You should test your target audience, propose new topics to discuss about and new images to share. With some proper efforts, you will be able to achieve great results. Let me have your thoughts in the comments below, thanks! And do not forget to follow me on Pinterest! Thanks for this article post, i never pay attention to pinterest, i mostly use facebook, twitter, stumpleupon and google+ for article sharing, but with this article, i think i should start paying good attention to pinterest for cool traffic. I think Pinterest is worth a little bit of your efforts. It can increase your social media marketing results. To be frank, Pint is not one of my platforms. I keep planning to get into it big time but it’s never possible. I have an account there and a couple of images. Maybe your post will encourage me to go get things serious there. Thanks for sharing these tips and do have a wonderful week. I am sure just a little bit of your efforts will convert into great social media marketing results, if you decide to use Pinterest. Thanks for your comment and visit here. Thanks for the quick reply Erik. One point is the copyright issue. Any idea how that is handled? Do you go uploading others images? I use to add a credit to the author of these images. Useful Stuff indeed….Even Am Using Pinterest and experiencing the benefits out of it.Keep posting such awesome posts. Thanks for your kind feedback, Vino! Informative post, I really enjoyed reading it. Well the thing is I honestly wasn’t aware of business account for pinterest which seems pretty awesome. So now you can convert your personal account into a business one. Thanks for your comment here, Samir. Well I always share images and within the description I place links. What do you think about it? You mean images from other websites? Or you share your own pictures, and you put links as credit in the description, Samir? While I will not undermine the importance of other tips shared in this post, my best takeaway is the idea of writing a good description. This will help to optimize the image faster for ranking. This comment was shared in kingged.com where this article was found. You should try Pinterest for your social media marketing, Sunday. Pinterest has been just one of the various sorts of popular social media platforms, where you can share both photos and videos. I’m pretty sure that you’ll achieve great results when you do great efforts too. thanks for sharing your feedback here! Nice tips shared by you. I believe building relationship with others is the best way to get the most of pinterest or any social media sites. Creating relationships is always the best way to increase chances of success! Pinterest is increasing social media platform. The users are increasing day by day. It is mainly used by women. This is best for promoting for products related to women. It’s a must use for your social media marketing! I’m similar to Enstine Erik. Pinterest has never really been a focus of mine. I don’t find the experience very exciting or fulfilling but I know many people get a lot of traffic using it. So, maybe I’ll take some time this weekend and play about with it and see if it changes my mind! Thanks for the tips. I’ll be sure to take them on board! It’s great you found inspiration to give Pinterest a try from this article. Thanks for your tips on pinterest. Surely using it perfect would help us to enjoy quality traffic. But the way we use matters. Pinterest has great exposure to quality content. We should use if for better exposure. So thanks alot for sharing your detailed tips on pinterest. Thanks for your comment and visit here! Pinterest is my favorite social network website now. I am getting good traffic from it. Every blogger should use Pinterest. Pinterest is clearly underestimated by some bloggers under the traffic potential point of view. It is worth to invest some time. Interesting topic. Pinterest is one of the great traffic source for my blog. Here i got some of the useful topics about, how to use pinterest yet better. Thanks for sharing this awesome tips. I ll surely make use of it. Hope to see you back in classiblogger.com with your comment. Thanks in advance. Have a happy weekend. glad to see you here visiting and commenting. Pinterest is not only present me such valuable ideas and information but also i can gain a lot of traffic form there and this social is getting more and more popular. Thanks for your comment, Stephan. Social media plays an important role in internet marketing. Many website owners and bloggers are using social media to promote their products or services. 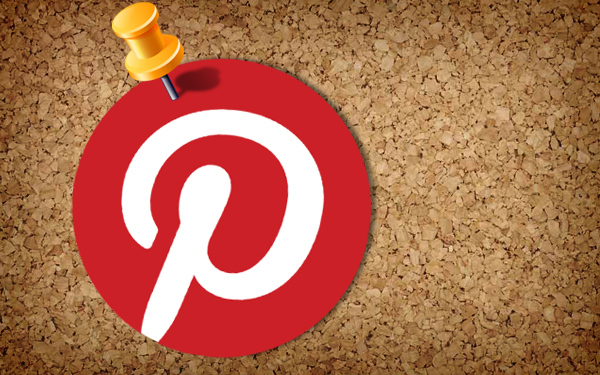 Pinterest is also one of the best social media platform from where we can generate great traffic to our blog. Though many bloggers avoid or underestimate pinterest it is great way to bring traffic or customers to our website or blog. Pinterest is mainly filled up with pictures and images . Digital content promotion is mainly done in pinterest. It is cool tool and and I have got great results from it. Pinterest is my top priority these days and I’m getting good out of it. These tips are really helpful BTW. Thanks for sharing your view here, Harish! Really valued points mentioned you have mentioned here. The most powerful ways to get more people attention is sharing rich images and the additional tools mentioned here is useful to me. Really helpful and professional article. I don’t suppose you’ve any idea why Pinterest only shows some (or none) of my pins when I use the ‘just my pins’ search feature. I’ve checked that the searched-for word appears in my pin descriptions, but it seems unable to find them. It’s very frustrating to be unable to find the things I’ve spend hundreds of hours pinning! Should not they appear in your Pinterest profile, Amrish? I have started a new start up and I planned to target pinterest users more than other social medias. This is really a very helpful post about pinterest and I think your 11 tips will help me lot to get more quality customers. Pinterest is a powerful marketing weapon for certain niches. What topic are you in, Cristy?